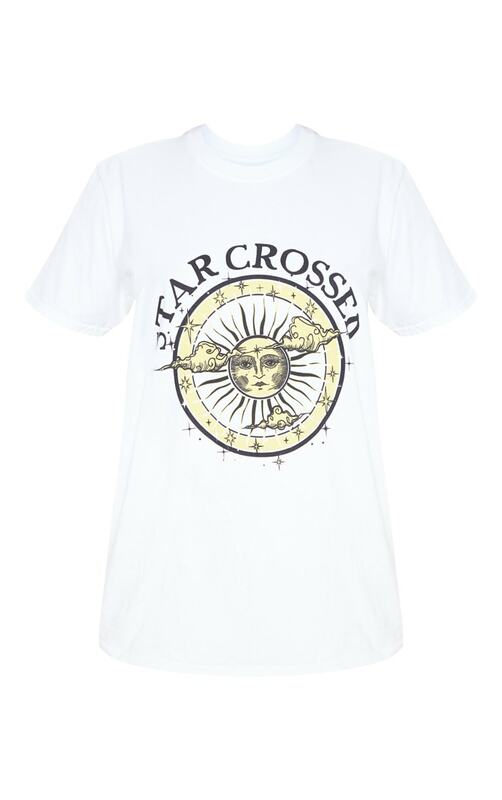 Add a pop of colour to your wardrobe with this must-buy t shirt. 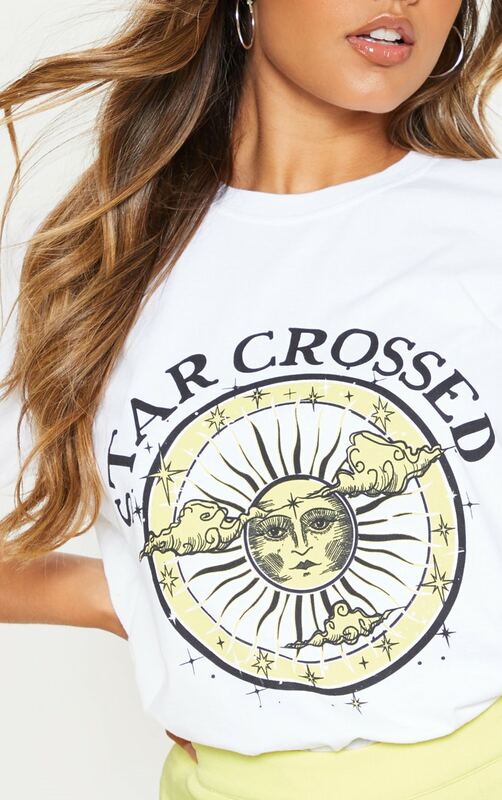 Featuring a white fabric with a star crossed graphic across the front, short sleeves and an oversized fit, what's not to love? Style with leather shorts and black heeled boots for a look we're loving.